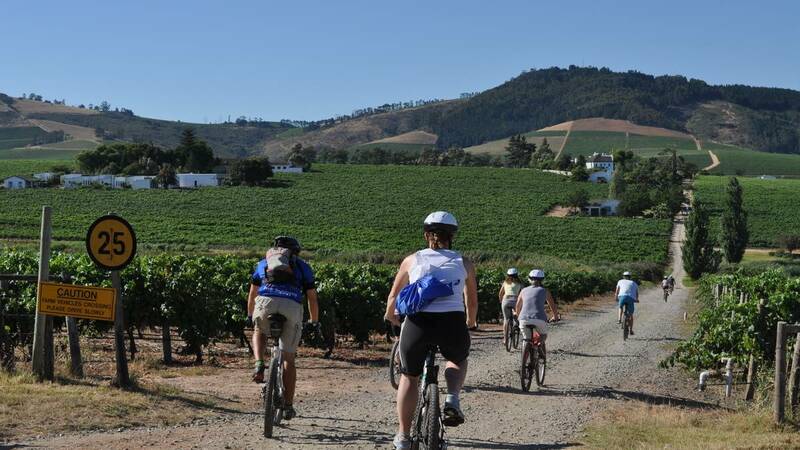 This is an exclusive experience, combining easy mountain biking through the vineyards of the Franschhoek valley with wine tasting en route and ending with a picnic lunch under the trees at a beautiful Wine Estate . 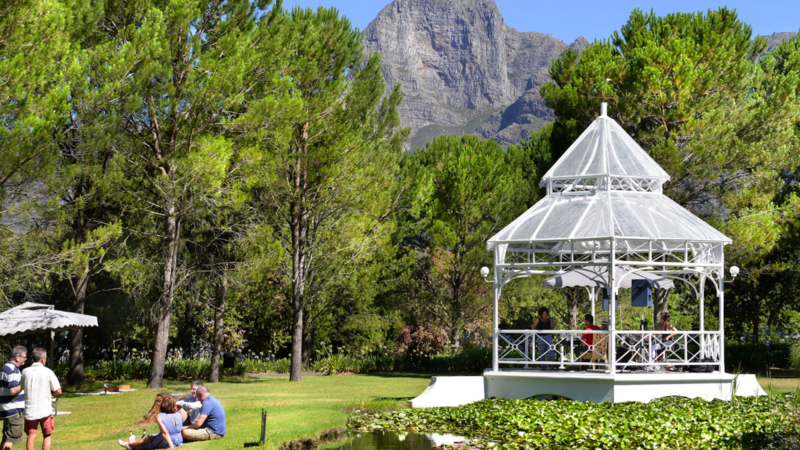 You should return to Cape Town well exercised well fed and well “watered” – a perfect combination of activity and revelry. 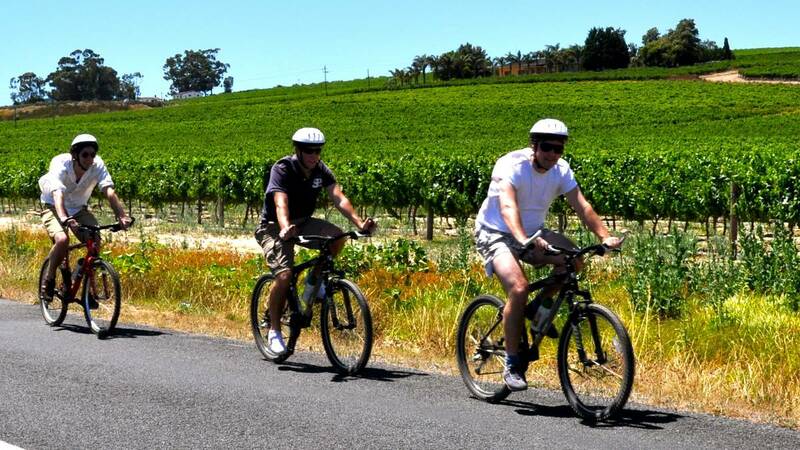 WhenAll Year excluding Christmas Day, New Years Day, The Sunday of the Argus Cycle Tour. 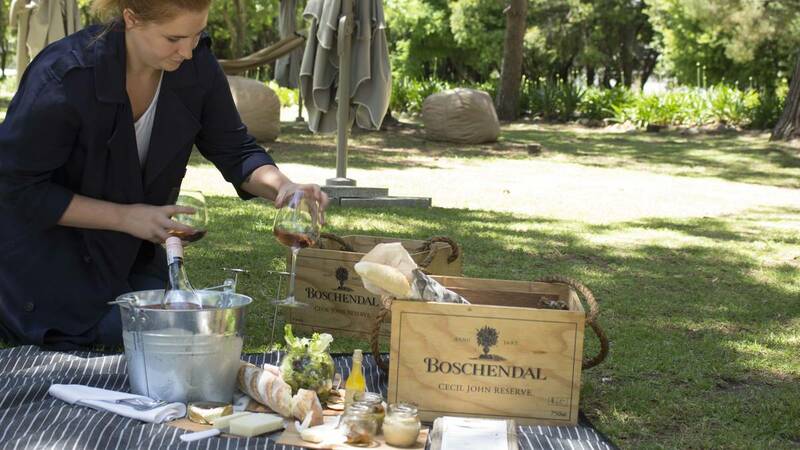 Guests or SpectatorsDress comfortable, come and enjoy a lovely relaxing day out in the winelands. 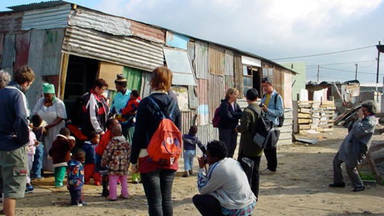 PLEASE CALL 0828079522 FOR ANY LATE BOOKINGS AND WE WILL TRY TO HELP YOU. 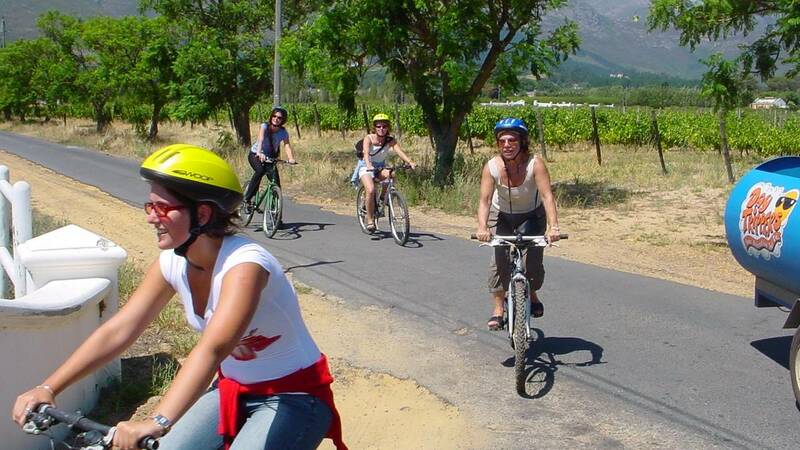 We run with minimum 4 pax, we can run with less but the minimum fee will apply, if you would like to email us for a confirmation date before booking please feel free to email us on info@daytrippers.co.za.